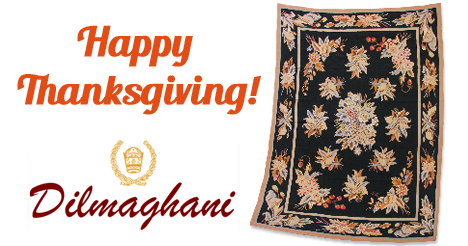 Come to our Scarsdale Showroom or Brewster Warehouse / Outlet to select your rugs from thousands of Oriental & Area Rugs! Great Mothers' Day Gifts at Dilmaghani in Scarsdale and Brewster ! Oriental rug purses with Leather trim and handles. Silk or wool Tree of Life mini-rugs. Visit our Brewster Warehouse/Outlet and Scarsdale Showroom for beautiful Mother’s Day gifts! Thurs., Nov. 26; Fri., Nov. 27; and Sat., Nov. 28. Come in now for your holiday shopping!